Dispose Minnie Mouse. 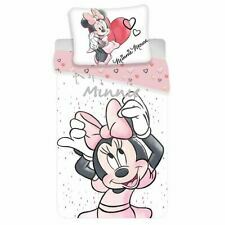 The fun design features a great image of Minnie Mouse posing on a white speckled background, while the reverse has a coordinating design of pretty hearts on a pink background. 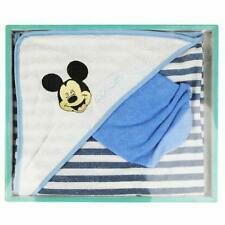 This item is made from 100% cotton and can be machine washed and tumble dried on a cool setting. 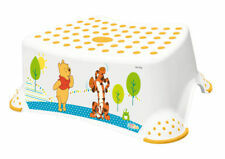 Disney Winnie l’ourson blanc tabourets tabouret Disney vers le haut pour enfants étape 100 kg. Sauf stipulation contraire, nous contestons l’intégration de vos propres conditions éventuelles. 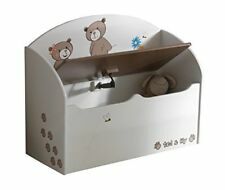 Ensuite, le panier est affiché. 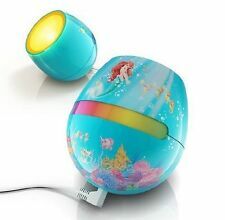 Collection Fée clochette Disney. Neuf étiqueté. L'envoi vers la Belgique se fait via MONDIAL RELAY. STICKER AUTOCOLLANT POSTER A4 DISNEY LA REINE DES NEIGES.SNOW QUEEN.ELSA.2. STICKER AUTOCOLLANT POSTER A4 DISNEY.WINNIE L'OURSON-THE POOH & PORCINET.2. STICKER AUTOCOLLANT POSTER A4 DISNEY.WINNIE L'OURSON-THE POOH & PORCINET. STICKER AUTOCOLLANT POSTER A4 DISNEY LA REINE DES NEIGES.SNOW QUEEN.ELSA.3. STICKER AUTOCOLLANT POSTER A4 FILM ANIMATION DISNEY-PIXAR. RAIPONCE-RAPUNZEL . STICKER AUTOCOLLANT POSTER A4 DESSIN DISNEY.PERSOS PLUTO LE CHIEN N°2. STICKER AUTOCOLLANT POSTER A4 DESSIN DISNEY.PERSO MICKEY MOOSE-SOURIS N°3. STICKER AUTOCOLLANT POSTER A4 FILM ANIMATION DISNEY-PIXAR.FLY PLANES - AVION . STICKER AUTOCOLLANT POSTER A4 DISNEY LA REINE DES NEIGES.SNOW QUEEN.OLAF. STICKER AUTOCOLLANT POSTER A4 DESSIN DISNEY.PERSO MICKEY MOOSE-SOURIS N°2. STICKER AUTOCOLLANT POSTER A4 DISNEY LA REINE DES NEIGES.SNOW QUEEN.ELSA.4. STICKER AUTOCOLLANT POSTER A4 DESSIN DISNEY. PICSOU DONALD RIRI FIFI ET LOULOU . STICKER AUTOCOLLANT POSTER A4 DESSIN DISNEY.PERSONNAGE DONALD DUCK-CANARD N°3. STICKER AUTOCOLLANT POSTER A4 DESSIN DISNEY.PERSONNAGE DONALD DUCK-CANARD N°2. STICKER AUTOCOLLANT POSTER A4 DISNEY LA REINE DES NEIGES.SNOW QUEEN.ELSA. STICKER AUTOCOLLANT POSTER A4 FILM ANIMATION DISNEY-PIXAR.FLY PLANES 2- AVION 2. STICKER AUTOCOLLANT POSTER A4 DESSIN DISNEY. RIRI FIFI ET LOULOU NEVEUX DONALD. 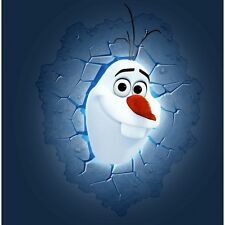 STICKER AUTOCOLLANT POSTER A4 DISNEY LA REINE DES NEIGES.SNOW QUEEN.OLAF.2.. STICKER AUTOCOLLANT POSTER A4 DISNEY LA REINE DES NEIGES.SNOW QUEEN.VILLAGE. STICKER AUTOCOLLANT POSTER A4 DESSIN DISNEY.MICKEY MOOSE DONALD MINNIE PLUTO. STICKER AUTOCOLLANT POSTER A4 DESSIN DISNEY.PERSONNAGE DONALD DUCK-CANARD . STICKER AUTOCOLLANT POSTER A4 DESSIN DISNEY.PERSOS DONALD DUCK ET DAISY DUCK. STICKER AUTOCOLLANT POSTER A4 DESSIN DISNEY.PERSO MICKEY MOOSE-SOURIS.